It’s that time of year again for us! We are hitting the road for the Christmas market and event season. Whilst we attend a huge range of events all year, selling our oils and sometimes accompanied by our salad box catering vehicle too, we are never as busy as we are across October, November and December. We love this time of year. The festive buzz in the air and meeting lots of happy people enjoying the season really makes it Christmas for us. If you would like to come and see us at a Christmas event this year you can find out all of the places we will be on our events calendar, using the button below. However, we thought we would list a couple that are always amazing, unmissable events, so keep reading! First up is also our very first event of the season, The Spirit of Christmas at Olympia in London. We have attended this event for the past couple of years and it is a fabulous one! Not to mention the excuse to do a little sight seeing in London whilst you are there too! We will also be at the Christmas Home, Food and Gift Market held at The Roundhouse in Derby and run by Fabulous Places again this year. Our salad box always makes an appearance at this event too, so you can sample our healthy take on event catering whilst you are there. Another big event for us is the Chatsworth Christmas Market. This spans almost three weeks across November and the beginning of December. There is always lots going on and it is well worth a visit. Many people now include it as a part of their Christmas traditions. We hope to see you at one of the many Christmas Markets and events we are attending this year. 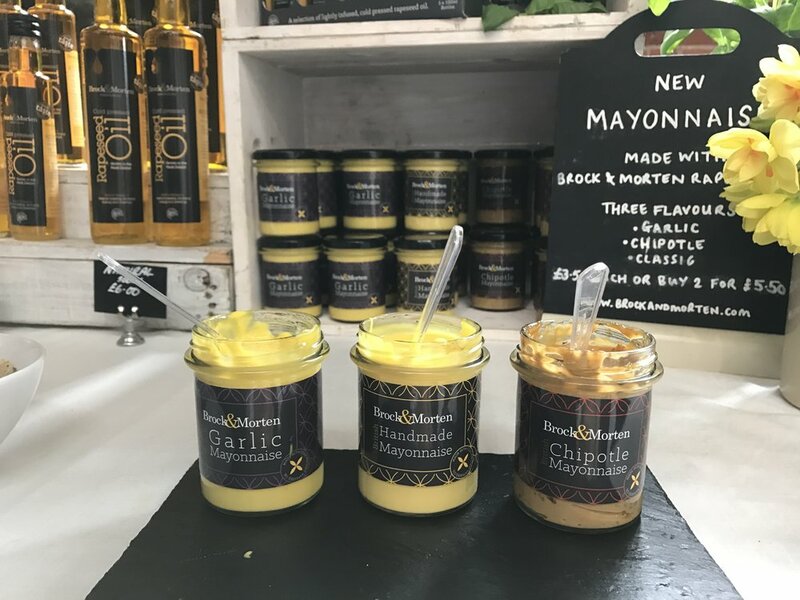 Our product range has grown again this year and the markets are the perfect place to try these before you buy; but if you can’t make it to any of the events listed on our calendar you can always order all of our products online. We have some great recipe suggestions too, just incase you need a little inspiration for using your rapeseed oil, mayonnaise, honey or balsamic vinegar!